Terrific colors, light, and shadows, and textures! Beautiful color and detail! Sounds like you all are going to get a huge storm! 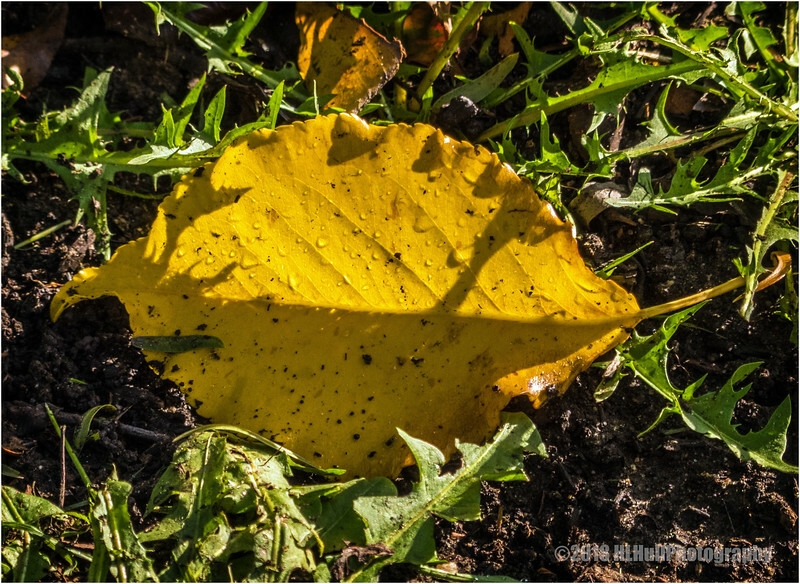 Pretty yellow leaf in among the dandelion leaves. Nice dewy morning, for sure. If it were taken today, those would be raindrops, not dew!